According to Apple, the new iPod touch offers eight hours of video and forty hours of music playback, which is slightly longer than in 4th generation iPod touch. Apple has upgraded the back camera that now is backside illuminated and features 5-megapixel, f/2.4, 5-element lens and the sapphire crystal lens cover. The front camera is also improved to a 720p camera. The new iPod touch includes Siri and supports the new Panaroma functionality. There is also a new element on the back of the new device called the Loop that is intended to attach a wrist-strap for more security. 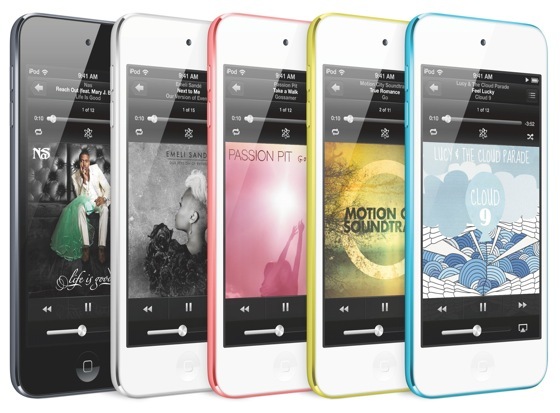 The new iPod touch model comes in 5 colors and will go on sale in October at $399 (64GB) and $299 (32GB). The fourth-generation 16GB iPod touch will keep the same $199 price. Also Apple announced a completely redesigned iPod nano. The new model has a 2.5-inch display and multi-touch interface. 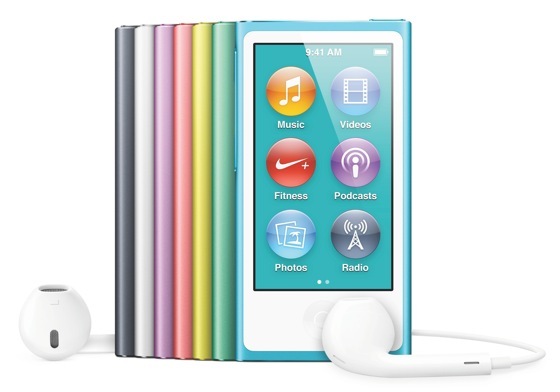 The new iPod nano includes Bluetooth, widescreen video, FM tuner, pedometer, and the new Lightning connector. The new model comes in seven colors and will go on sale in October for $149.